Facebook will continue to make announcements as this change rolls out. They also say that while there may be some initial challenges, they will continue working on a solution for content publishers. 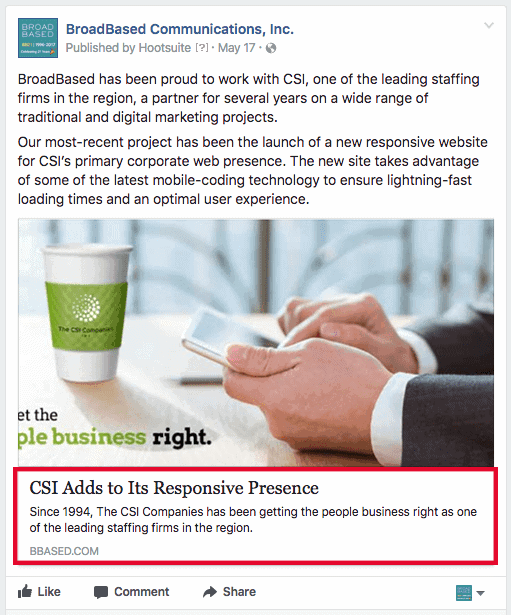 If BroadBased is your social media community manager, we’ll do what is within our power to mitigate any major visual differences in page posts.